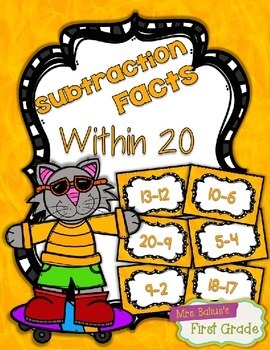 This file contains all of the subtraction math facts within 20 in YELLOW. 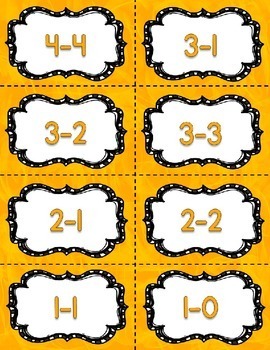 Included are a total of 240 cards! 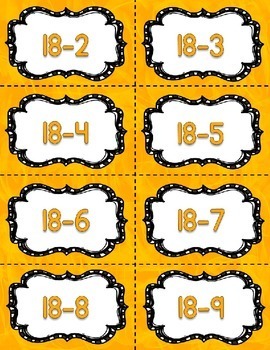 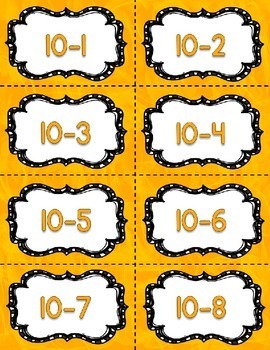 All you must do is print, laminate and cut for a whole year of math practice!